Doesn't every woman love to buy new clothes and jewelry? I know that I do but I tend to purchase online which can make it difficult at times to find just what I am looking for. That's where 9thandElm.com comes in. It was founded by Clay and Elly Bethune in the spring of 2013 with a mission to bring it's members fabulous fashion from the best handmade and independent designers. Their buyers handpick exclusive collections of everything fashionista. I had such a blast looking through the site trying to decide on just what I wanted to choose. They offer some incredible jewelry but since I make my own, I opted instead for a couple of shirts. The checkout process went smoothly and within a week, I was the proud owner of two shirts that I can dress up or down. 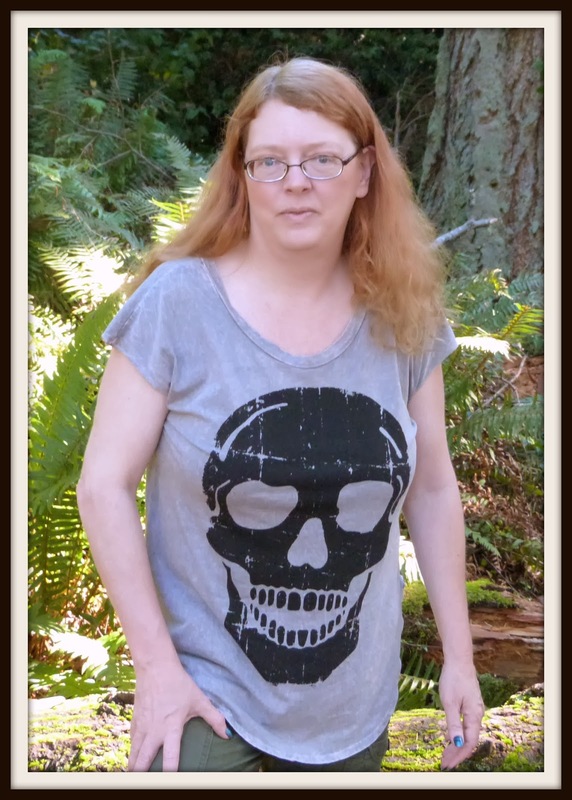 This skull shirt has to be my favorite. It's lightweight so perfect for layering this fall and the perfect length. 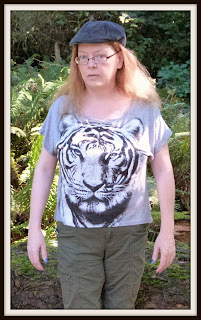 I have worn it with jeans and an overshirt as well as with leggings and boots. I am always getting compliments and asked just where I found it. I also really like this one but it is more for summer days as the back has horizonal slits. It's great as a fashion statement but just a tad bit light for the colder months though it also layers well. Both of the shirts are well made though I did find the sizing to run a bit large. They have also been washed a few times and look brand new. 9thandElm.com does change stock rather frequently. That's where their newsletter with all kinds of eye candy sure comes in handy. Also be sure to check out their Facebook page, PinInterest, and Twitter. Now I am sure that you are curious about the giveaway. Well I have teamed up with other Fashionistas to put together one where you have a chance to win some gift certificates to 9thandElm.com. By entering this event, please note that you are signing up for the newsletter. Great picks - both look great on you! Lovely Shirts, I loved that you featured them on yourself. Really helps me to see what they look like! These shirts look comfy and easy to care for... love the products from 9thandElm. Cute tees! I love the skull one and great for this time of year! You look great in your new shirts! I love them! Great look - so original! Great looks! Love the tiger tee. I love the shirts, Nice pictures.